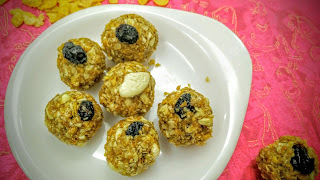 Crunchy ladoos are healthy ladoos which are made up of crunchy ingredients like cornflakes and oats. 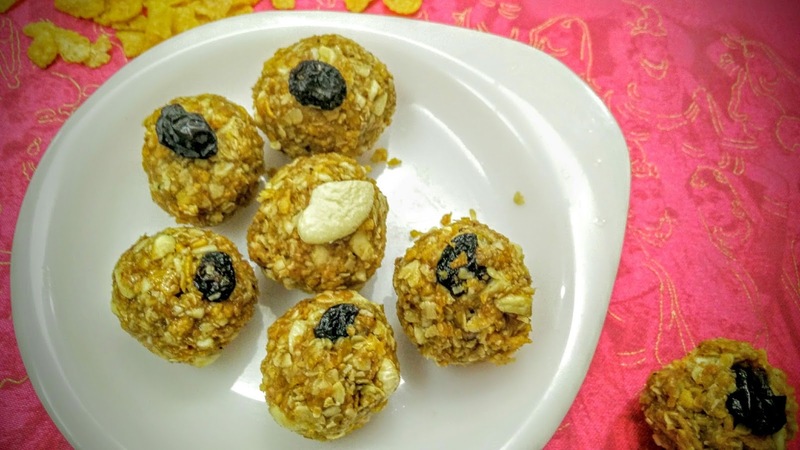 These are healthy ladoos which can be prepared in minutes and can be served instantly. 1. Dry roast both cornflakes and oats in a kadai/non-stick pan. 2. Crush both ingredients and add butter while still hot. 3. Melt jaggery in same kadai. Add the mixture along with maple syrup and crushed cashewnuts and blue berries. 4. Mix all ingredients well and make nice ladoos. Impressive fusion of desi and western food. I have to say I avoid ladoos for the always seem a bit on the heavier side but these with cornflakes in them seem light and crunchy. I'm so tempted to try this.